When you’re teaching students with special needs, sometimes you need to stray off the beaten path a little. We need to learn how to teach each child, the way they need to learn. We need skills that will help us to reach students before we can teach them. We need to learn how to teach each child, the way they need to learn. We need skills that will help us to reach students before we can teach them. 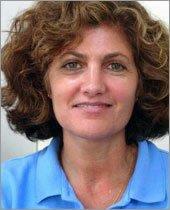 Karen Nisenson is a music and art therapist, and a piano teacher. When working with piano students with special needs, she borrows some aspects of music therapy to connect to each child. She uses music, art and other unique approaches to give every child the opportunity to have a creative outlet. Karen has lots of great takeaways that you can use in your teaching straight away. If you have a student you’re struggling to connect with, this is the podcast for you. Please find a full transcript of this episode at the bottom of this page. Alternatively, click below to download a PDF. If you are an Inner Circle Member, you can find the full video and transcript in the Member Resources Area. Not a member? See below for how you can get $50 off your membership today. 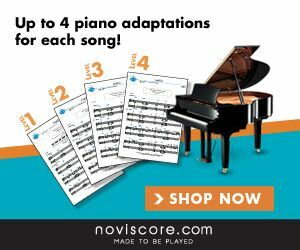 This month’s sponsor is Noviscore, your new online sheet music resource. Special OFFER: 30% off all our piano sheet music for Tim Topham members during September!! Please enter code TTSEPT at payment stage. 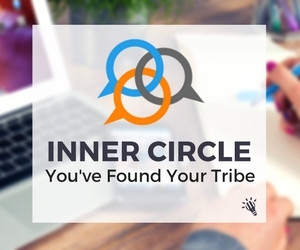 As a valued podcast listener, you’re eligible for a $50 discount on an annual Inner Circle Membership. This discount lasts for as long as you’re a member and whatever price you sign up for today is the price you’ll pay as long as you remain a member. Tim: Good day, Karen welcome to the show. Karen: Thank you. It's great to be with you. Tim: Now I connected with you through Neil Moore of Simply Music who we featured in episode 49, and I think you guys have started working together. So can you tell me what the project's about? Karen: Yes. The project is called, Simply Music Gateway. I met Neil a few years ago. I resonated with his philosophy that everyone can play music and everyone should play music in their lives. I... Excuse me, I'm turning my phone off. I'm sorry. Karen: I am, I work with special needs children and adults. I work with people who have processing disorders, fine motor problems, and I have that same philosophy that everyone should be able to do music. And when I learned about his program through one of the kids that I was working with, who was looking for another type of program. That's when I learned about Simply Music. And the artwork really intrigued me. I didn't know any other music that had such beautiful artwork. And I emailed him and told him about my work and if he was interested in meeting and talking about it and he said yes. And we connected and we talked about our resonating philosophies and he had always thought about incorporating special needs. So, we got together and it's been going forward. And I was just there in Sacramento in August and I videoed training, teacher training videos of Simply Music Gateway Part 1 which is how to teach special needs children and adults on the autism spectrum, or kids with behavior problems, ADD, kids with fine motor problems. Just helping teachers become familiar with the issues and the joys of working with special needs. Tim: Great. So you've, as well as that work you've actually got your own organization called Arts for Healing, right? Tim: So can you tell us what that's about? because I'm quite interested in the whole idea of arts and healing and music therapy and stuff. Karen: Yeah. Well, my background is as a pianist. And then, I also got another degree in Creative Arts Therapy a long time ago. And in 2000, I live in Connecticut, in New Canon Connecticut in Barfield county [SP], and in 2000 I started this organization in order to bring music and art therapy, and theater, and dance, and yoga. Just the arts in general, to bring the arts to special education. And when I started people didn't really know what that was about. Was at a time before Autism Speaks before the statistics of autism grew and I had to educate the public as I started this organization. I had been teaching at NYU for 25 years and working at the Nordoff Robbins music therapy center in New York, working in other capacities, freelance, playing, writing, music therapy. So when I started this organization I wanted to bring it to my area. And it's now 2016 and we're still here, which is amazing for non-profit. And we're growing and expanding and we have eight therapists working, have developed a method called Integrated Music and Art Therapy, where I paint and do music. We work on issues and target specific goals like language and speech, personal growth, emotional development, behavior, fine and gross motor. So, we work with the schools, we have outreach programs in schools and institutions. And we see babies through elderly with Alzheimer's. So, the organization has grown, it's artsforhealing.org if anyone wants to look it up, .org not .com. Otherwise, you'll get another organization in California. Tim: So, look, I've heard about music therapy before and it's a degree you can study and all that. What would I see if I went into a room and someone was doing music therapy with a student? Karen: Well, music therapy is a pretty wide field. So, you might see very different kinds of things. Music therapy is goal oriented, interactive, improvisational type music working on specific issues. So if you saw a child with autism, for instance, you might see a child playing a drum and I would be at the piano improvising on the child's beat or on the child's sound if they go ahh, ooh, eee, whatever. And it's really creating music around what you're given as a stimuli from that child. So, if it's a beat, if it's just one drum, it's to elicit communication. And so, if you get into the energy of that child and the groove of that child's healing, you can bring them out into a musical conversation. So what you would see is a child maybe playing a drum, a xylophone, but it would sound like the child is making music. And depending what level they're at, maybe they'd be singing, vocalizing sounds if the goal was speech and language for a non-verbal child. So, you would see a lot of improvisational sound, toning, playing. Maybe the child would come over and bang at the piano, maybe they would play the xylophone. But music therapy would be a variety of instruments and opportunities to explore creativity and self-expression. Karen: It is very much not about teaching. It's, I mean, that's a different thing that I do. But music therapy's not about learning. If they happen to learn from the experience it's just kind of like a side effect. So, but it's not the goal. It's not about learning. And if you work with an autistic child you can say, "Oh, come. Let's do this or do that." They want...they don't listen, especially a profoundly autistic child. You have to connect. You have to get in on a level where you can start interacting and since music is a non-verbal language you can get the child interested from the beat, or you can get them in through a harmony, or a song. And so you kind of start communicating and talking to that child through music. But it is not about teaching. But to answer your question about music therapy, if you saw music therapy in a psychiatric hospital with adults, that might look very different. That might look like a group setting or somebody trying to make up songs, or trying to verbalize emotion. Somebody with Alzheimer's might be vocalizing or also improvising on different words. So, you know, it depends. There's music therapy in hospitals for pediatric hospitals, there's music therapy for neonatal care to calm little babies who are preemies. There's Sloan-Kettering Hospital, in New York for cancer where music therapy is about just physically relaxing, getting into yourself on a whole different level. So depending on the population, depending on the goal, it's going to be different. Maybe the activities will be a little different but what 's the same is that it's about connection. It's not about learning or teaching, it's about connection and being with that person in the music in whatever capacity is possible and targeting the specific goal that you're trying to achieve. Tim: Great. And while I understand that obviously, to be a music therapist it takes training and all of that kind of stuff but when it comes to teachers working in studios with, let's say, a severely autistic or non-verbal students, are there elements of that concept that they can take away with them today, that they could try out in the next lesson if they're really having trouble with a child in communicating with them to just perhaps, kind of go, just stop the teaching and just let the child drive the lesson? Would that be a good idea? Tim: I guess what I'm trying to do is, connect the concept of music therapy with what the music teachers who are listening could potentially do in their teaching without being trained. Karen: That was the goal of the Gateway Program. That is the goal. That's what we just spent a few days videoing teacher training videos talking about the issues of behavior, talking about the issues of working with a non-verbal child and about what it's like to be with a child that doesn't necessarily follow directions and how you can get into your moment with them and how you can be creative as a teacher and discover new ways of relating. So, obviously, if a teacher has a child with behavior problems processing disorders where they don't get directions, or they won't listen, they have to stop what they're doing and work with the music in another way. And so, it might be just playing the song and singing, it might be stopping altogether, it might be using a puppet, it might be, "Oh, let's sit on the floor," or "Let's try to play this on the table." Or, you know, you have to kind of think of different ways to do the same activity. But I always say, if you have the experience of working with special needs, not the typical child that you teach, it's very...it expands your ability as a teacher, it expands your self-expressive possibilities and it gets you more into knowing yourself at a deeper level of your own potential in terms of communication. Tim: And I remember in episode 56 Dr. Scott Price was saying exactly the same thing. The quality of your teaching will just dramatically improve because you have to be so creative and flexible. Karen: Yes. Definitely. And as I said also in these videos with Neil, it's as if, it's like if you picture an inch. Within the inch there're little millimeters on you know, in a ruler let's say, getting into those tiny spaces and stretching them out so that what you do in a minute, or what you do with one tiny step becomes the bigger thing. So that in a regular lesson with a typical child, you can have one tiny step and that could go in 30 seconds but you can also have one tiny step and you can stretch that out to half an hour. And all of a sudden you see your perspective grows and your creativity grows. And when you have to take one step and all of a sudden you're seeing it from the perspective, like, through a magnifying glass, or through a microscope. All the sudden it's a new world of relating and a new world of information and it's what you just said, it will make somebody a better communicator, a better teacher to see information from new levels, with new eyes. And I think everyone should experience that. It's a very important thing to do and to discover. Tim: Now you mentioned before about your integrated music therapy and art therapy I.M.A.T. And I've found just on your website, I wanted to quote a couple of things and ask you a question about it. You say it's based on the premise that all expression is metaphorical. Art and music are interchangeable as sound, color and form express the same feelings yet involve various parts of the brain. And to me, I was thinking about this, and I was thinking to me, painting and drawing art seem so different to musical art. And yet, you're talking about them being interchangeable. What do you mean by that? Karen: I don't look at drawing or painting as project oriented. To me, it's process oriented the same way as musical improvisation. So it's not about making something beautiful, it's not about drawing a picture. I mean, sometimes it is, but it's about putting paint on a piece of paper with the gestures that work with whatever you're feeling. It's about choosing a color that resonates with what you're feeling. A lot of kids will scribble things and then put it on the piano, and then will play that picture. "Oh, this is about the time when I went here," or the storm, or the rain, or, you know, whatever it is, about the brother, or sister, about the mother, about the father. Which is what I mean by metaphorical. Art therapy is about using symbolism. It's like a dream, you know, everything in a dream symbolizes something else. So the same thing with color and pictures. And if you get into that on that abstract level, the kids feel so free because they don't have to draw anything. A lot of these kids can't even hold a pen because they don't have very good fine motors. So they hold... I don't know if you can see me on the screen but, they like hold it with their, you know, with their fist. And so it's all about movement. And so, we have a program with the Lang Lang International Music Foundation where we send art and music therapists into hospitals. A lot of the kids when they hear the music of the Lang Lang young scholars who are performing, it's a mixed kind of experience. They end up drawing and moving their pens, or crayons, or whatever paints, to the rhythm. And they get drawn into the rhythms. But it's like, there's such a thing as synesthesia where people will hear color and see sound and that's sort of like what I'm referring to. It's, you know, yellow is a feeling and red is a feeling, and you can express that in music or a song, or it's just working with abstract symbols. And kids who are non-verbal or kids on the spectrum or kids who have processing problems love the fact that they can communicate in a non-cognitive way. They don't have to think in words. And a lot of these kids don't think linearly. So they think like this, like a fingerprint with lines. They don't think like, "One, Two..." You know, it's not linear. So using music in art kind of reflects their brains. And music is processed in the whole brain. Color is just part of that whole thing visually. And so it makes a holistic approach of feelings, and processing in the brain to see the visual and the auditory come together in the same expression is very powerful for them. Tim: That's great. Would you be able to give us an example of a time perhaps in a piano lesson with a special needs student, perhaps an autistic student, that you would say, "Here's a great opportunity to get them off the piano, on the floor, with some crayons," or, you know, something. And just maybe you play the piano and you just let them draw. Can you think of a time when that would be great? Karen: ...but, the blinking light...we drew a picture of a face, and so one of them became an eye. And so we drew two eyes with this blinking light and a nose and a mouth and the boy named this face his own name. I mean for privacy I'm not saying his name but, you know, let's say his name is Jay, his name isn't Jay, but, let's say so then it's Jay dot, you know. And then we got...and then it was about making up a song. And then we sat and drew a picture of the face and then we put that on the piano, and then he went back and started playing with one finger and became more motivated to make up the song of Jay dot with his finger. The whole thing became more fun and he forgot about that he was uncomfortable that his fingers were so weak and then he started actually playing and strengthening, you know, being able to poke at the, you know, at the keyboard. So, you know, things like that where you'll stop and you'll do something, or take a puppet or a toy car. I mean, there's so many things when you say example, you know, I've had so many examples. Even a little boy who comes in with a little tiny car, the only way he would, you know, he got uncomfortable, then we'd have to stop. So, we'd park, with the two white notes, those became the little garages of like. You know, you do stuff which I mean, some conventional teachers are not comfortable doing that. But when you're working with special needs kids you have to go out of the box. You just have to because otherwise they'll leave the room, or they'll cry, or they won't be comfortable. So you have to play. You have to be comfortable with playing with children. And a lot of times if they're intimidated by playing piano I'll take a puppet or doll or character and just go. They can play using that character but not with their hands because they have such poor fine motor. Tim: So, you've mentioned puppets a couple of times. So you would actually give them the puppet and the puppet would be the thing that touches the piano. Karen: Yeah. And then they would feel so much better because it's a projective technique of you're not really playing, it's a puppet. Karen: And that's only in the beginning. I would say after the beginning stages they get comfortable and then it becomes more like regular lessons, where they get into the structure and the routine. Because children with autism or processing problems are very intimidated by new information. They're scared because they're so used to not being able to assimilate information, that they're very defensive and walled off and they have sensory problems and they just, they put down the wall they don't want to learn anything new. So if you make it easy and you make it step-by-step where they can then be successful and have fun, they'll be motivated to keep going. So that's the goal. Karen: Very similar to the Simply Music Gateway concept because a lot of it is very, in the beginning, is very improvisational. Tim: Which I think that's great for all students, of course. Karen: Yeah, like, improvising on the white notes, improvising on the black notes, improvising on a chromatic pattern, improvising on other patterns. So the patterns aren't the patterns that appear in the music. Or for them it's improving on certain movements of the fingers that they have to work on. So the improvisational piece allows children to play piano and experience themselves playing before they even learn. So it's a similar type of thing. Tim: Well, I was interested to talk to you about improvisation because it's something that's very close to my heart, I do it with all my students. I'm a strong advocate for all teachers doing lots of improvisation with their students. And I understand you've written a book about this, correct me if I'm wrong, called "Crossing the Improvisation Bridge." Is that correct? Karen: Yes. That was really the precursor to the Simply Music Gateway Program. Karen: That was years ago when I was teaching kids with special needs I put together the whole program. And that's what I called it because through the bridge of improvisation these children would learn piano and they would work on their fine motor problems. I mean, kids who couldn't even, didn't know what, one...two...three, you know, what finger comes after the thumb or what they... Through this improvisation it provided a bridge to learning, a bridge to self-expression, a bridge to just music. So that's what I called it. But when I met Neil and I talked to him about this program and my methods, that it just became Simply Music Gateway. And the difference is that I would use any music or makeup music, but in the Simply Music Gateway Program, it uses the Simply Music, music, in the foundation series. And so those pieces and those songs are used in the program. But the "Crossing the Improvisation Bridge" is really the method I use to teach. So that was a long time ago. Tim: Right. Can you give us some tips about improvisation and special needs students? We've mentioned a few little ideas so far. Have you got some other ones that you haven't mentioned? Karen: Yeah, I think for special needs kids, structure is important. So I mean I've done free improvisations with kids where they just play and I make up music with them and it becomes a piece. Tim: So they could be playing anything. Anything at all. Tim: In time, out of time, any notes, doesn't matter. Karen: Doesn't matter. Actually, you used to teach this back at NYU called Clinical Improvisation because it was about improvising with somebody and not having any structure. Just meeting them where they are, finding the rhythm and finding the beat, providing a cushion of a place where they could be free enough, and these were people, you know, this kind of improvisation I would do with people who didn't even play piano. And it was a wonderful experience for me and for them. But getting to the special needs population, they... At the beginning, they need a structure, whether it's, "Okay, play all the black notes," or "play all the white notes." They need some kind of focus and if you play a certain chord progression, typical 1-6-4-2-5-1 or something. I won't go into the white notes perfectly. If you play anything in C, you know, where...and you could play sharp this or flat that, or whatever. But if you play some simple chord progressions and have them just improvise to something that will go, that works really well. Black note improvisations are great because you can play in the key of F sharp and they can just bang away on the black notes and it will sound good. As long...even chromatic if you play an F sharp. But to give them a cushion, to give them some kind of basic beat where they can feel grounded. So they will take off in an improvisation if you give them some grounding whether it's harmonically or the beat, or rhythmically, they need that grounding. Tim: And that would help anyone trying to improvise for the first time so it's a good recommendation for sure. Karen: And I encourage, I mean, I am not a singer by any means, but I encourage people to sing with the kids, to make up a song. Like, "We are improvising," like anything. Just, you know, just to tell them what they're doing, especially if they don't speak it's fun and they like hearing a song about themselves, you know? "Helen is improvising, we are improvising..." You know? Just anything will work. Tim: And matching and maybe connecting the puppets and the idea of a story to an improvisation. Karen: Yeah, and sometimes I put together little books. This is all the beginning, this is how to get them learning. Once somebody's really into the program and they really are learning already, like, after six months, I don't really need to do that anymore. 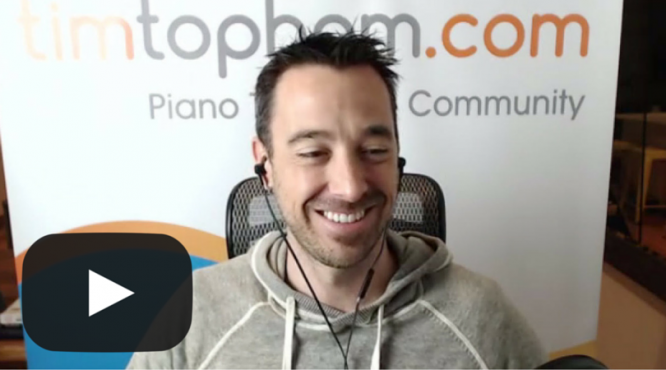 It's more of a...it gets more into the structured learning and then they are very comfortable sitting at the piano. This, really all of these things happen in the beginning. Tim: Okay. And that's because once the student gets to know you and you've made a relationship, and you've got a structure they can settle a bit more and focus on other things. Is that right? Karen: Yeah. And they get more confident because they're learning, because they're doing it because they're able to play. Their fingers are getting stronger from the certain exercises that they do. They're becoming piano players and they're very proud of themselves. And so, as that grows, so does the ability to sit at the piano without having to use other kind of techniques. Tim: And does that go for a high functioning as well as, nonverbal and all students in your experience? Karen: A high functioning child will sit at the, I mean, I teach typical kids as well, they just take the piano lesson. I don't, I usually am very conventional with.... I've taught very advanced pianists, too, while I was teaching at NYU, nah you don't need to do...not with a typical student. I don't think you need to do that stuff. Unless they are really little, if they're really young. But otherwise, the typical student, they just learn. Tim: Then I guess my question is, for teachers perhaps who have taken on a special needs student and perhaps, listening to this and really struggling, we've given them some ideas. But I think you might have also given them some hope that if they do it right it gets easier. Karen: Absolutely. There's, there's always hope. It's not even hope, it's that...yes, if you devote yourself and you make a connection you will help this child learn. The thing is you have to eliminate time, you have to eliminate expectation, and eliminate any conventional goals. You just are in a timeless place. And whatever they learn, they learn, whatever they do, they do. The most important thing is that they have a good time and that they enjoy the experience and that they feel good with the teacher. So it doesn't matter if they only learn one thing for six months. It doesn't matter. It matters that they love coming to music. And if you're open as a teacher and you're willing to put aside expectations and levels and this or that and whatever, and it just becomes a music experience, it will always be positive, it will never be negative. You just have to reach that person. It may take a while to reach them. I mean, I've got kids who are severe behavior problems. Severe. And I just had one boy today, as a matter of fact, who I couldn't believe that I was really working with today on a real level of music, whereas the past few months all he wanted to do was pinch and scratch. And he's little, you know. I mean, if he was like a big 18-year-old who wanted to pinch and scratch I probably wouldn't be seeing him anymore. But a little boy. And so, I just was patient, you know, let him be himself, play, sing songs. And then today, he sat with me for a full 20 minutes and played. And that was amazing, and he liked it. And he is profoundly autistic. So there is always...hope is the wrong word, there is always potential, and there's always creativity within the child. and you have to recognize that every child, like we said at the beginning of this, is capable of making music, every child is musical, every child has that in them, no matter what level whether it's typical, average musicality. Or, like, I've taught real Cervantes [SP] who were autistic who were brilliant. You know, which is very exciting. So it's just a matter of being open to the experience. Tim: I almost want to wrap it up there because what you've just said is phenomenal. It means so much to hear those words and I know a lot of teachers are going to really enjoy hearing what you said because it means a lot, doesn't it? Karen: And I've been in this field for so many years and I work a lot and I see a lot of kids and sometimes when I'm really tired and the end of the day, I'm like, "Oh, I'm so tired," you know. And then I'll see the eyes of a child, like today, like this boy. And I think to myself, "Look at the impact that I'm bringing to this boy. The music is...he gets it." And who would have thought that this would happen and that's very rewarding. And then, the ripple effect is great because the families who are so frustrated and sometimes severely depressed. And they have so little hope for their child in struggling. And then all the sudden they see their child doing this and it's a miracle to them. And they're so happy and so you bring that joy, not just to the child, but to the family and you're doing a great thing. So I encourage any teacher, any music teacher, you don't have to be a music therapist, you just have to be a person with a heart and open and willing to try. And children, these kind of kids are like all children, children just want to be loved and have fun and connected to and that's what it's about. Tim: Brilliant. Well, I think we'll wrap it up right there because you've just summarized everything so brilliantly. That's great. But, look I do want to find out, where do people go to find out about the Simply Music Gateway. Tim: Yeah, well, we'll pop a link in the show notes and they'll be able to find them. Karen: Yeah, there's descriptions of if you're a musical therapist, if you're an occupational therapist, if you're a teacher, if you're a music teacher, if you're an elderly caregiver, how to use the program. I just did the video this past August so I'm sure they're not fully edited and they're not online yet. But hopefully, they will be and hopefully they will help teachers get an understanding of more about what we're talking about. Tim: And so, for teachers to access that is it a paid thing or what? Karen: I'm not sure about the details. I can't answer those questions but I think the best thing to do is to go on the Simply Music website to look up Simply Music Gateway, to email, or wherever they have that link for messages say, "When will this be available?" It's Simply Music Gateway Part 1, and we'll see how it goes. If people are really interested, we'll do part 2 which is a whole other thing. But I think. yeah, that's the best thing is to go on the website and look up and send a message of when, you know, we're interested so that Neil knows that there are people out there. You know, I've gotten emails from people all over the world, "Is there a program, I don't know what to do." And so, I always say "Well, there will be...soon." And so yeah, they should just go on the website. Tim: And for those who might have missed episode 57 I also interviewed Susan Bessette, who's put together her own. She's just a piano teacher who had some experience, fully admits she's not a music therapist or anything but she's put together a program that other teachers can freely use. It's all up there and online and available. So in the meantime, if you want to see what other teachers are doing, check out episode 57. Tim: And Scott price who I mentioned in episode 56, he started a new blog that you might be familiar with, we've got the links in the show notes, I can't remember it right off the top of my head. It's a piano for special needs blog pretty much... professionals. So the information is getting out there now. Karen: It's great. And the more people who do this just validates the fact that this population should be playing instruments, should be playing the piano, should be doing music. And it's great. So the more, the better. That's what I always say because then everybody will say, "Oh, this is possible, this is a reality." It's not like something new or strange that couldn't be, it's just, it exists. So the more people doing it, the better. Tim: Right. And if they want to find out more about you, it's artsforhealing.org. Is that right? Karen: Dot org, they can read all about arts for healing and they can contact me with any questions. There's an email listed there that they can ask any questions. Tim: That's brilliant. So show notes for this episode will be at timtopham.com, episode 59. And next episode, episode 60, I'm actually speaking with a clinical psychologist all about autism and special needs and some tips from the clinical psychological side. Should be really good. Karen: That's great. Oh, I look forward to seeing that. Tim: Brilliant. Thank you so much. Karen: That you so much for having me. Tim: You're welcome. I really appreciate your time today. Thanks so much. Which unconventional teaching technique inspired you? Are you going to try out any of the music therapy inspired activities? Did Karen motivate you to give teaching special needs students a try?